USPS faces a steady stream of customer service complaints. In 2009, the United States Postal Service (USPS) was on track to lose $7 billion, and over the years, the Internet has eroded much of its business. This has led to talk about privatizing USPS. Added to this is that USPS workers are disgruntled -- many complaining about the organization being too top heavy with management and not listening to the workers enough. More and more businesses and individuals are complaining because USPS no longer seems customer friendly. 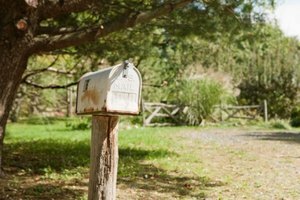 Many customer service complaints arise because mail is not being delivered to a particular address. USPS will suspend mail delivery when any threat develops. A threat such as a dog on the premises creating a hazard to the mail person is a viable threat. Hazardous weather conditions can prevent the mail carrier from delivering mail to a particular address. A blocked mailbox is also a threat to mail delivery as well as a full mailbox. Another USPS customer service complaint is mail being returned to the sender. 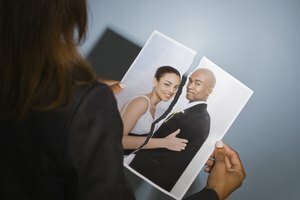 USPS generally returns mail to the sender due to insufficient postage or the wrong address being listed on the package. 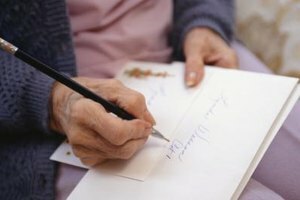 Some mail requires a recipient to sign for the mail or accept mail delivery. 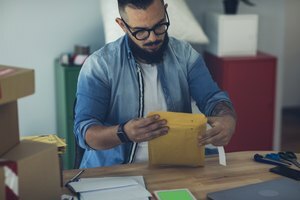 For that kind of mail, the carrier will leave a notice at the address, and if the recipient does not pick up the mail in a designated time frame, then USPS returns the mail to the sender. People complain about USPS delivering mail to the wrong address. A person who has two or more addresses, such as a post office box and a street address, must provide the post office with a designated delivery address before USPS delivers mail to a specific location. If an envelope has both addresses listed, then USPS will deliver the mail to the first address. If an envelope has both addresses listed on the same line, then USPS will deliver the mail to the post office box only. Mail not being delivered to a new address when you have moved to a new residence is a USPS customer service complaint. USPS requires that you fill out its official change of address form when moving to a new location. Some customers have complained that they did file a change of address form, but USPS was returning the mail to the sender with an "Address Unknown" stamped on the outside of the envelope. A customer must contact customer service to fix this problem. Many USPS customers complain it's difficult to contact customer service via telephone. People complain that the menu items on the customer service line are difficult to follow and have too many options to get access to a live customer service representative. Anecdotally, one customer attempted to contact a customer service agent for two days before being able to speak to a live USPS representative. Brock, Mitchell. "USPS Customer Service Complaints." Synonym, https://classroom.synonym.com/usps-customer-service-complaints-13583719.html. 04 October 2017.